Seabury Hall 8th grader David Shiraki topped 618 other Hawaii middle-school students across the state to win with a perfect score in the annual American Math Competition 8. Out of the 110,827 competitors nationwide, only 178 students earned a perfect score. Seabury Hall 7th-grader Steven Doan placed fourth overall and 8th-grader Kaitlyn Takeno placed sixth overall. In the school competition, Seabury Hall tied for first place with Punahou School. Each year, more than 100,000 students in grades 6, 7 and 8 compete in this math challenge. It is considered the nation’s premier middle-school math contest. The test was administered nationwide in November. An AARP Smart Driver Class, with instructor Burkhard Berger, will be offered from 1 to 5:15 p.m. Wednesday at Kalama Heights, 101 Kanani Road in Kihei. The class is designed for drivers 50 years and older but all adults are welcome to attend. The emphasis is to become more aware of common age-related physical changes, how they affect one’s driving ability and how to compensate. The is $20 (cash or check) and will be collected at the beginning of class. AARP members receive a $5 discount with a valid AARP card. Some insurance carriers offer discounts to those who complete this class. Pre-registration is requested. Call Kaunoa Senior Center at 270-7308 for more information or to register. Mandatory meetings for parents or guardians of seniors who plan to participate in the upcoming Baldwin High School commencement ceremony have been scheduled. The adults must attend one of the following meetings: Tuesday or Wednesday from 6 to 7 p.m. in the Baldwin Auditorium, or Feb. 7 at 9 a.m. in the BHS Lecture Hall. Information about graduation participation, expectations, requirements and logistics will be discussed. A senior graduation participation letter will be distributed and parent permission forms will be collected. Caps and gowns and accessories will also be distributed after the meeting. For information, call Donna Vierra at 727-3192 or Marci Nakagawa at 727-3142. The Huliau Film & Lecture Series will continue at Kamehameha Schools Maui Thursday with a presentation by the conservation field technicians who maintain the Pu’u Kukui Watershed Preserve. Light refreshments will be served at 6 p.m. and the lecture will begin at 6:30. Continuing with the theme of malama Honua (caring for the Earth), the crew will share in-depth knowledge of the preserve and the conservation efforts employed to protect this valuable resource on Mauna Kahalawai (West Maui Mountains). Attendees may enter a drawing to win an escorted hike to the rain gauge at Nakalalua (first bog). The event is free and open to the public. For more information, call 572-3118. The Italian American Social Club in Kihei will meet at 6 p.m. Tuesday at St. Theresa’s Hall in Kihei. The meeting will begin with a potluck supper. The featured speaker will be Peter Scheider, the national sales manager for Maui Brewing Co. He will talk about how the Maui-based company was started and highlight the new store and tasting room in Kihei. Admission is free and the meeting is open to the public. For further information, contact Don Tedesco at dstedesco@gmail.com. Presale tickets for St. Joseph’s Authentic Portuguese Malassadas may be purchased from 10 a.m. to 1 p.m. Monday through Friday until Feb. 3 at the church office, 1294 Makawao Ave. in Makawao. Malassadas are $9 per dozen and may be picked up with tickets only on Feb. 17 in the St. Joseph cafeteria. The Rotary Club of Kihei Sunrise will not hold its regular morning meeting Wednesday because club members will be conducting a Keiki Dental Program at Kamalii Elementary School starting at 9 a.m. This educational program is designed to improve the oral health status of children. It utilizes volunteers from different agencies – UH Maui Dental Assisting Program Director Joyce Yamada and students from the program; local dentist Dr. Sonia Gupta; local pediatrician Dr. Fely Livaudais; Kihei Sunrise Rotarians; and the 1st-grade classroom teachers at Kamalii. People interested in observing this program may call Patty Hemmen at 280-8372. 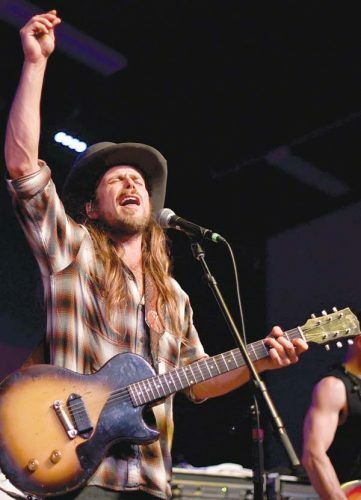 Michael Bowman, a Colorado farmer who has been on the vanguard of legalizing hemp on both the state and federal levels, will speak on “The Benefits of Legalizing Hemp” at the noon meeting of the Rotary Club of Kihei-Wailea Wednesday at Mulligans on The Blue. Proponents value hemp both for how it grows – quickly and in a wide geographic range, without requiring much in terms of water, pesticides and fertilizers – and what it can produce. Its seeds and oil are used in health and beauty products, while the strength of its natural fiber makes it a good candidate to be used as a building composite. Cost for the meeting is $16, including lunch. The public is welcome. For more information, visit www.rckw.org or call 283-8355. The Oahu-based nonprofit Hawaiian Community Assets will offer a homebuyer workshop Saturday at St. John’s Episcopal Church hall in Keokea. The daylong event is open to the public and launches a series of four such workshops on Maui. Hawaiian Community Assets has timed the series to prepare Native Hawaiian homesteaders for 46 half-acre residential lots that the Department of Hawaiian Home Lands will offer Upcountry in June 2016. For more information, contact Waiohuli Undivided Interest Lessees Association President Emma Abihai Yap by phone at 264-6299 or by email at ekahua.abihai@gmail.com. Maui Economic Opportunity has announced that $47,741 in Maui County funding is available for Project Graduation programs for 2015 high school graduating classes in an effort to promote alcohol- and drug-free graduation celebrations. Project Graduation grant applications are available at meoinc.org. Deadline for the receipt of applications is Feb. 7 and notifications of awards will be made by Feb. 28. Applications must be emailed to Lyn McNeff at lyn.mcneff@meoinc.org. For information, email McNeff or call the MEO at 249-2990. Emmanuel Lutheran School will present a rummage and yard sale from 7 a.m. to noon Saturday at 520 W. One St. in Kahului. Household items, toys, clothes, books, sports items and “lots of great stuff” will be sold on the campus near the Kaahumanu/Papa avenues intersection. Proceeds will help Emmanuel Lutheran’s intermediate band students travel to participate in the Hawaii Lutheran Schools Music Festival on Oahu this spring. Maui Mixers with High Hopes Square Dance Club will host a group of dancers from Taiwan, Japan and the U.S. from 5 to 8 p.m. Feb. 1 at the Maui Mall. Callers will be Buddy Weaver, Ken Bowers, Masaru Watanabe and Dave Fullaway. The public is invited to watch and/or participate. Dances will include square dancing, round dancing and line dancing. Maui Mixers and High Hopes dance every Monday at 6:30 p.m. in the Hannibal Tavares Community Center, Room 1 in Pukalani. The Veterans of Foreign Wars Ladies Auxiliary 3850 will present a steak and chicken fry Saturday at the VFW Hall, 1136 Uluniu Road (Behind Times Supermarket) in Kihei. Watering time will start at 5 p.m. and chuck wagon time will begin at 6 p.m. Ticket are $25. For tickets or more information, contact Serina Souza at 359-4693 or pulelehuahoni@gmail.com. A benefit for A Cup of Cold Water and Trinity Episcopal Church by-the-Sea will take place from 5 to 8 p.m. Saturday at 100 Kulanihakoi St. in Kihei. There will be wine tasting, gourmet pupus, live music and a silent auction. The donation to attend is $75 per person. A Cup of Cold Water is a community care van outreach program formed by Episcopalians from Good Shepherd, Holy Innocents, St. John’s and Trinity by-the-Sea churches. The Maui Mountain Biking Coalition is presenting a full day of events Saturday beginning at 8 a.m. with a free clinic by the International Mountain Biking Association’s Trail Care Crew at Krank Cycles, 1120 Makawao Ave. in Makawao. The crew will be sharing tips about building and maintaining sustainable trails. Volunteers interested in maintaining the mountain bike trail in the Makawao Forest Reserve can put some of the sustainable practices learned at the clinic to use with trail work beginning at 11 a.m. Meet in the reserve parking lot. Volunteers should bring water and wear closed-toe shoes. Yard tools are optional. At 6 p.m., the coalition will screen Brendan Semenuk’s “RAD COMPANY.” The 2014 film takes viewers on a high performance visual ride around the globe. A $5 suggested donation is requested. There will be prize giveaways throughout the day. For more information, call Aaron “Moose” Reichert at 572-2299. The Japanese Cultural Society of Maui is accepting applications for its annual scholarship to be awarded to a graduating high school senior who promotes and perpetuates the Japanese culture through education and/or the arts. Those interested in applying for the scholarship may contact Tiffany Iida at tiida@hawaiianisp.com or 276-5444, or visit www.jcsmaui.com. The scholarship application deadline is March 31. Maui Arts & Cultural Center President and Chief Executive Officer Art Vento will be guest speaker at the Kiwanis Club of Maui’s noon meeting Thursday at Cary & Eddie’s Hideaway Restaurant in Kahului. Vento will share some of the highlights during his 20 years at the MACC. The meeting is open to the public and visitors are welcome. Lunch is $12. For more information, call Kathy Anderson at 357-8877. Maui High School’s Advancement Via Individual Determination program is recruiting 8th-grade students from Lokelani and Maui Waena intermediate schools, as well as current 9th-, 10th- and 11th-grade students from Maui High for the 2015-16 school year. AVID is a college-readiness system implemented in more than 4,900 schools nationwide. AVID targets students in the academic middle who have college potential with support. Often, these students are not reaching their full academic potential, but AVID equips them with the skills necessary to be successful in more rigorous coursework, according to a news release. Applications from Lokelani are due today; Maui Waena’s are due Jan. 30, and Maui High’s are due Feb. 4. For more information or to apply, contact Dani de Jesus, Maui High’s AVID coordinator, at 727-4188 or dani. The Ma’alaea Community Association will hold its annual meeting at 6 p.m. Tuesday in the Pacific Whale Foundation’s Discovery Center on the lower level of the Harbor Shops at Ma’alaea. Guests include Maui Police Chief Tivoli Faaumu; Capt. Stephen Orikasa, commander of the MPD Kihei District; and Emily Kibby, South Maui community police officer. A business meeting and election of board members will follow. The public is invited to attend. For more information, email mcamaui@gmail.com. Boy Scout Troop 22 will host a pancake breakfast 7 a.m.-noon Sunday at St. Theresa Church in Kihei. The cost is $8 per person and includes eggs, breakfast meats, fruit, juice, milk, coffee and all-you-can-eat pancakes. A presentation on social media and cyberbullying will take place during a parent information night 6 -7:30 Tuesday at the Lahainaluna High School cafeteria. Parents and students of Lahainaluna High School, Lahaina Intermediate, Princess Nahienaena Elementary and King Kamehameha III Elementary Schools are invited. Trucks for Trucker Keiki Fun Day will take place 10 a.m.-2 p.m. Saturday at Grace Bible Church, 635 Hina Ave. in Kahului. The fundraiser is for 20-month-old Trucker Dukes, who is battling stage 4 neuroblastoma. All proceeds will benefit the family. The event will include bouncing castles, pony rides, free keiki IDs, face-painting, cotton candy and popcorn. Service vehicles will be on display. Food will be available. Seabury Hall will host its third annual Maui Math Challenge 9 a.m.-noon Saturday. This competition is open to all students in grades 3 to 5 from public, private and home schools throughout Maui County. There will be a team competition and individual awards for each grade level. There is no entry fee and snacks will be provided. For more information, contact Steve Vurno at svurno@seaburyhall.org or 442-6187. The Maui Historical Society will present “Maui’s Daughter,” Iwalani Ho’omanawanui Apo, in concert at the Bailey House Museum 4-8:30 p.m. Sunday. Gates open at 4 p.m. for happy hour, museum tours and pupu by Mala ‘Ai. The concert starts at 5:30 p.m. Parking will be available for kupuna/handicapped at the museum lot with general parking on Main Street and at ‘Iao Congregational Church. Tickets are available at the museum and at Native Intelligence in Wailuku. Standing-room admission is $10. Reserved table seating is $20 per ticket. Corporate tables cost $300 and include tickets for six, a prime table, a pupu tray, complimentary soft drinks and water, and sponsorship publicity in radio advertising. For more information, call 244-3326 or visit www.mauimuseum.org. Haleakala Waldorf School will present a Discover Waldorf Tour at 10 a.m. Saturday at the Kula campus. The tour is geared for adults and gives a glimpse of what the children experience in the classroom. For more information, visit www.waldorfmaui.org or call 878-2511. The Rotary Club of Kihei Sunrise will host a whale watch/snorkel trip aboard the Four Winds II 1:30-5 p.m. Feb. 7. The vessel offers glass-bottom viewing and a waterslide. Snorkel and fishing gear and boogie boards are provided. A meal of pulled pork, hot dogs, veggie burgers, chicken breasts, cookies, soft drinks, beer and wine will be served. The cost is $65 for adults and $55 for children 12 and younger. Tickets must be purchased in advance at www.kiheirotary.org or call Ron Capanash at 281-2213. The Jewish Congregation of Maui has organized a whale watching event Feb. 1. The whale watch will proceed out of Maalaea Harbor. Check in is 3:30 p.m.; the event will run from 4-6 p.m.
RSVP is required. Call the temple office at 874-5397. 9th Life Hawaii is holding its monthly free/low cost cat spay/neuter clinic on Saturday. All cats are welcome except noticeably pregnant cats. A $35 donation is suggested, but the service is always free in cases of hardship. Volunteers will pick up cats at designated locations and transport them to a fully equipped surgery clinic. Cats will be returned later the same day to the original pickup point. It’s important to sterilize male cats as well to eliminate spraying and fighting, according to 9th Life Hawaii. Call 866-3050 or email info@9thlifehawaii.org to obtain a surgical consent form, which is required in order to schedule the surgery. Graham DeVey, director of Island Energy Inquiry, will give a talk, titled “Educating for Prosperity,” at the Rotary Club of Kihei-Wailea’s meeting from noon to 1:30 p.m. Wednesday at Mulligans on the Blue. Island Energy Inquiry is a statewide professional development program for science, technology, engineering and math teachers based on renewable energies in Hawaii. Workshops introduce inquiry learning methods through hands-on, locally developed lessons. Since 2009, IEI has trained 374 teachers. The cost to attend the meeting is $16, including lunch. All are welcome. For more information, visit www.rckw.org or call 283-8355. Saturday will be the first shopping day of 2015 for Becca’s Closet at King Kekaulike High School, offering free formal wear for all high school students on Maui. A valid student ID is required and there is a limit of one dress per student. Hours are 9 a.m. to noon. * Jan. 30, 3 to 4:30 p.m.
* Feb. 21, 9 a.m. to noon. * Feb. 27, 3 to 4:30 p.m.
* March 28, 9 a.m. to noon. Donations of formal wear are also welcome. Items may be dropped off at the front office between 7 a.m. and 4 p.m. Monday through Friday in care of Theresa Cabral, coordinator. To visit Becca’s Closet, enter the school campus at the Haleakala Highway gate. Becca’s Closet is in Building K, second-floor balcony. This is a PTSA-sponsored project. For more information, contact Cabral at 727-3516 or at theresa_cabral@notes.k12.hi.us. The regular meeting of Kula AARP Chapter will be held Monday at the Kula Community Center. The meeting begins with refreshments at 9 a.m., followed by the program at 9:30 a.m. The meeting is open to the public, no reservations necessary. Members and guests are encouraged to bring food for the Maui Food Bank. New officers installed by outgoing President Kathleen Phillips on Dec. 12 are: President Linda Texeira, Vice President Mary Anne Morioka, Secretary Melvia Kalawaia and Treasurer Diane Logsdon. For information, call Logsdon at 878-3448. Aric Nakashima of Pukalani Superette and Jerleen Bryant of the Maui Humane Society will be the speakers at the Pukalani Community Association’s 6 p.m. quarterly meeting Tuesday at the Hannibal Tavares Center downstairs meeting room. For more information, contact donnajclayton@hawaii.rr.com. Maui author Jackie Pias Carlin will speak at the 7:30 a.m. Rotary Club of Kihei Sunrise breakfast meeting Wednesday at Five Palms Restaurant at the Mana Kai Maui Resort in Kihei. Stories that Carlin writes are created from her life on Maui. She will present a brief “how-to” on how to start a book and then do a short reading from two of her books, “Spirit of the Village,” a memoir of growing up in Paia during the 1950s, and “Aunty’s Place,” a fictional work about three Kihei families in the 1960s. Following the readings, she will answer questions from the audience. The cost of the breakfast is $22. The public is invited. For more information, call Secretary Joanne Laird at 757-0981 or visit www.kiheirotary.org. The Feline Foundation of Maui will hold a fundraising garage sale from 8 a.m. to 2 p.m. Saturday. Donations of good saleable items are being accepted for the garage sale, which will be at 231 Kawailani Circle in the Piilani II subdivision in Kihei. Money raised will go for spaying and neutering of cats in managed feral colonies. Volunteer caretakers maintain the colonies by trapping the cats, having them neutered or spayed and returning them to their home areas, as an alternative to euthanasia. The program is funded 100 percent by donations. To make arrangements to drop off items for the garage sale or to make tax-deductible donations, call 298-1207. More information is available at www.mauicats.com or www.alleycat.org. The University of Hawaii Maui College Dental Assisting Program will hold a general orientation meeting at 4 p.m. Thursday in Hale 217 at the Kahului campus. The accredited two-semester program provides students with the skills needed to work in the dental profession. Students are taught in the classroom while receiving hands-on clinical training. Program information and an application can be found at www.maui.hawaii.edu/dental. For more information or to reserve a seat, call 984-3250. A rummage sale to benefit Pukalani Elementary School will be held in the school’s cafeteria between 8 a.m. and 2 p.m. Saturday. The Pukalani Community Association is accepting donations for the school from 6 to 9 p.m. at the cafeteria on Friday. Household items, appliances, shoes, electronics and plants will be among the items available during a rummage sale at Christ the King Church parish hall from 7 a.m. to noon Saturday. All money raised will be donated to the American Cancer Society. The church is at the corner of Wakea and Puunene avenues in Kahului. For more information, call Mildred Chargualaf at 264-5031, Cielo Capilitan at 495-1247 or Shanell Pugal at 268-7620. Vision improvement through eye exercises is the topic of a presentation, “Challenges and Successes,” to be given by Darnita Lesure at 3 p.m. Sunday in the Kalama Heights billiards room, 101 Kanani Road in Kihei. The gathering, a support group for people with visual impairment, is sponsored by Na Hoaloha. Lesure is a health services consultant and stress reduction specialist, according to an announcement. For more information, call Lyn Stewart at (443) 850-0113 or Candice Carter at 249-2545. University of Hawaii Maui College Hawaiian Studies Department and Liko A’e Native Hawaiian Leadership Program, invite the community to a commemoration of the 122nd anniversary of the overthrow of the Hawaiian Kingdom from 5 to 8:30 p.m. Friday in the student lounge of the Pilina Building at the UH-MC campus. Attendees will explore the various political, educational and environmental issues affecting Hawaii. Wailea Community Association General Manager Bud Pikrone presented checks totaling more than $7,200 to the Maui Food Bank on behalf of participating restaurants from the recent “Restaurant Week Wailea” promotion. “The response, once again, was a huge success for our restaurants, the local community, visitors and the Maui Food Bank,” said Pikrone, who presented the checks to Marlene Rice, development director for the food bank. The dining promotion will be held May 24 to 30 and Nov. 1 to 7 this year. All high school, charter school, home school and other program students are invited to join Seabury Hall’s SAT Prep Course. The program will meet twice a week from Jan. 25 to March 11. It is designed for juniors to take the SAT and/or the ACT in spring 2015 and/or fall 2015. Special features of the course include: acquisition of skills necessary for success on the SAT and ACT, vocabulary from an extensive word list, in-depth practice with an analysis of real SAT questions, 40-plus hours of classroom instruction, SAT preparation book, free review sessions prior to the SAT, overview and practice for the ACT. The object of the program is for students to develop comprehensive critical reading, math and writing skills necessary for success on the tests. Classes will be held six Sundays from 8:30 a.m. to 12:30 p.m. and six Wednesdays from 6 p.m. to 8:30 p.m. No classes will be held during Seabury Hall’s “winterim” (Feb. 8-13). The total cost is $395. Registration forms are available at the Seabury Hall front office, by calling 572-7235 to have one mailed, or from www.seaburyhall.org/sat. The National Kidney Foundation of Hawaii will kick off its free public screenings this year with a kidney urine screening analysis from 5 to 7 p.m. Thursday at Ka Hale A Ke Ola Resource Center, 670 Waiale Road, Wailuku. The NKFH will be joined in this effort by volunteers from the medical community and nursing students from University of Hawaii Maui College. The event will include blood pressure checks and urine tests, and help participants to understand their risk factors for kidney disease. The urine screening will determine results for clarity, color, glucose, bilirubin, ketone, specific gravity, blood, pH, protein, urobilinogen, nitrate and leukocytes. Following screening, participants will meet with a qualified health professional to discuss results. For more information regarding this or future screenings, call the National Kidney Foundation of Hawaii, Maui Program Coordinator Stephanie Brown at 896-1900. St. Anthony schools in Wailuku will hold open house events on two days this month. On Friday, parents of enrolled students at St. Anthony Junior-Senior High School are invited to the “St. Anthony Student Showcase” from 4 to 7 p.m. Attendees should check in at the resource center. On Saturday, St. Anthony’s preschool and grade schools (kindergarten through 6th grade) will host an open house for the general public from 8:30 to 9:30 a.m. For more information, call 244-4976. From 9:30 to 11:30 a.m. Saturday, the junior-senior high school (grades 7 to 12) will be open to the general public for an open house. For more information, call 244-4190. Those attending the open house events are asked to enter the campus from its Lower Main Street entrance. The schools are at 1618 Lower Main St. The Rotary Club of Kahului will hear from Kim Ball of the Maui Sports Foundation and Hi-Tech Surf Sports on Monday at Cafe O’Lei at the Dunes at Maui Lani. The meeting runs from 11:45 a.m. to 1 p.m.
Ball will share insight and stories about how the Maui Interscholastic League became the first high school athletic league in the nation to have surfing as a Department of Education-sanctioned sport. Ball has been the president of Hi-Tech Surf Sports since 1984. He is also the president of Maui Sports Foundation, a local 501(c)-(3) nonprofit that is involved with amateur surfing, local windsurfing races, youth wrestling and other community events. The public is invited. The cost with lunch included is $20, or $5 for the program only. Information about speakers and club service projects can be found at www.kahuluirotary.org. For more information, call club President Alexis Dascoulias at 244-8680. Cheryl King of the Hawksbill Turtle Recovery Program will speak at the Rotary Club of Kihei Wailea’s noon meeting Wednesday at Mulligans on the Blue. King will share information about the birth and life of the Hawaiian hawksbill turtle. She will discuss the 2014 turtle nesting season on Maui and how community volunteers contributed to its success. The Hawksbill Recovery Program is a part of the Hawaii Wildlife Fund, a nonprofit organization dedicated to the preservation of native Hawaiian wildlife. The cost is $16, including lunch. The public is welcome. Seabury Hall will hold an open house for prospective students and families from 9 to 11:30 a.m. Saturday. Registration will start at 8:30 a.m. in Cooper House. The school’s mission and philosophy, Upper and Middle School curriculum, extracurricular programs, application and the financial-aid process will be presented by the head of school, division heads and admissions team. Faculty members will give short demonstrations in their classrooms. The open house will also include a campus tour, student presentations and refreshments. 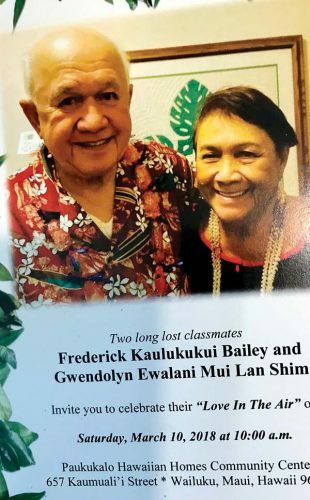 Information will also be shared about the Malone Foundation scholarship and Maunalei and Hawaiian Ancestry scholarships. For information and reservations, contact the admissions office at 572-0807 or enelson@seaburyhall.org by Thursday. The nonprofit Doorway Into Light will hold its monthly gathering, “Being With Dying,” at 6:30 p.m. Monday at the Temple of Peace in Haiku. The free event is for people who are dying, their families, those who are grieving, caregivers for the dying, and all who wish to explore their own approaching death. The gathering is facilitated by the Rev. Bodhi Be, executive director of Doorway Into Light. For more information, contact Be at bodhi@doorwayintolight.org or 573-8334. Steve Franz, principal of Kamehameha III Elementary School, will be the guest speaker at the Rotary Club of Lahaina Sunset meeting Tuesday at the Royal Ocean Terrace at the Royal Lahaina Resort. A social from 5 to 5:30 p.m. precedes the club meeting from 5:30 to 6:30 p.m.
Franz became a teacher in 1996 and a vice principal in 2003. 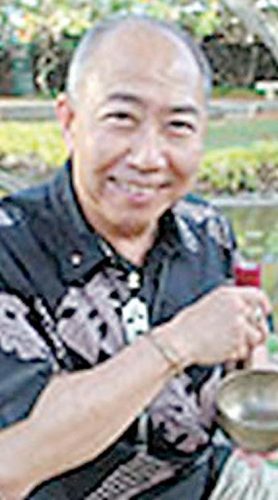 He has been the principal at Kamehameha III Elementary since 2008. The event is open to the public and refreshments may be purchased. For more information, call Liz May at 721-5909. Big Brothers Big Sisters of Maui invite the public to its benefit fundraiser dinner and silent auction at Flatbread Co., 89 Hana Highway in Paia, from 5 to 10 p.m. Tuesday. A portion of the proceeds from pizza sales will benefit the organization providing children who are facing adversity with professionally supported one-to-one mentoring relationships. For more information, visit www.bbbshawaii.org or call 242-9754. Stuart Jefferies, a professor of physics and astronomy at the University of Hawaii Maui College, will speak at the Rotary Club of Kihei Sunrise 7:30 a.m. breakfast meeting Wednesday at the Five Palms Restaurant at the Mana Kai Maui Resort in Kihei. Jefferies’ topic will be “Looking Into the Heart of the Sun From the South Pole.” He will describe how sound waves can be generated near the sun’s surface to look inside the sun. He will also discuss an expedition to the South Pole to make observations about the sun. Jefferies’ has a doctorate degree from the University of London and has published many articles about the science of the sun. The cost of the breakfast is $22. The public is invited. For more information, call secretary Joanne Laird at 757-0981 or see www.kiheirotary.org. 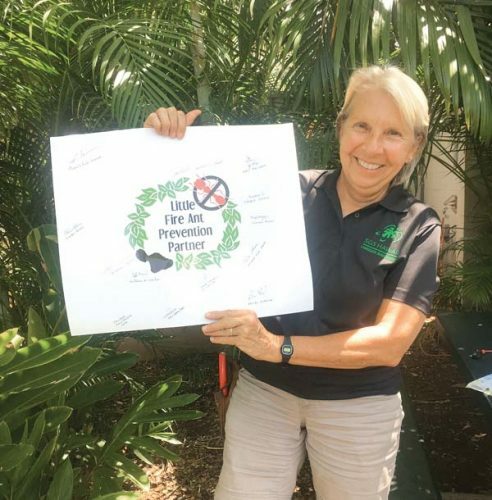 A new training that combines safe and efficient chainsaw use and maintenance with proper tree and shrub pruning techniques is being offered by the Sustainable Living Institute of Maui at University of Hawaii Maui College. There are many wrong ways to prune; this training offers the principles and hands-on skills to promote optimal growth and good fruit production, according to a news release. Half of the training will take place off campus to practice skills learned. Richie Campas, a certified arborist of Affordable Fellers, instructs the 12-hour class. The training starts Jan. 13 and runs for four afternoons, Tuesdays and Thursdays, from 3 to 6 p.m.. The cost is $239. To receive a 10 percent discount, register online at edventuremaui.com or call 984-3231. For Employment Training Funds tuition assistance details or other information, call 984-3502.